If you’re a college student about to embark on the journey of registering for classes, you know a thing or two about RateMyProfessor.com. The website is The Bible for students who are struggling to find a class to take, and, who haven’t taken a particular professor before. The premise of the website, for those who don’t know, is for students to leave a rating and review on professors who teach specific courses at specific universities around the world. The website, owned by MTV, first appeared in 1999 and has since become a staple of any college experience. If you’re familiar with the website, you know that some teachers have super high ratings, while others are just…horrid. 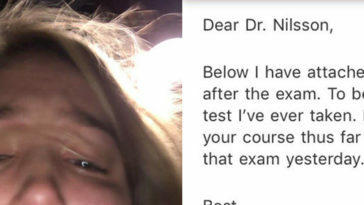 Aside from students being able to leave a detailed review of each professor, they are also given the opportunity to rate how “hot” each professor is. If the professor gets enough “hot” responses, they are awarded the famous “chili pepper” on the site. However, recently on Twitter, many professors began to speak out against the ability to rate them based on looks. BethAnn McLaughlin, a neurology professor at Vanderbilt University, shared her opinion on the “hotness rating,” saying that it is irrelevant to their teaching and should be removed. In an interview with BuzzFeed News, McLaughlin said that the rating debunks the credibility of many professors–specifically female ones. 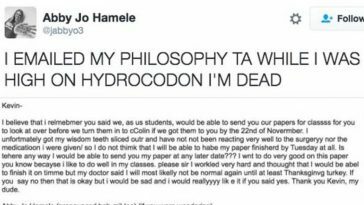 After her tweet went viral on social media, many other professors began speaking out against the hotness rating system on the website, as well. I agree 100%. I HATE those chili pepper ratings. 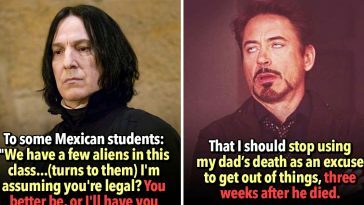 I do not want my students to think of me in that way. ???? Thank you!!! As an adjunct professor at both a community college and a university, I have always been appalled by this!! I am in my 50's. Who cares how "hot" a kid just out of high school finds me!? That's not just creepy, it's an insult to my credentials. yeah I looked up my ratings once and it broke my heart. However, other Twitter users called the website out for straight up lying, as they’ve published several posts where they “rank” professors from all universities by how hot they are. They also found older tweets from the company showing that they have said several times in the past that the chili pepper does represent how “physically attractive” a professor is. 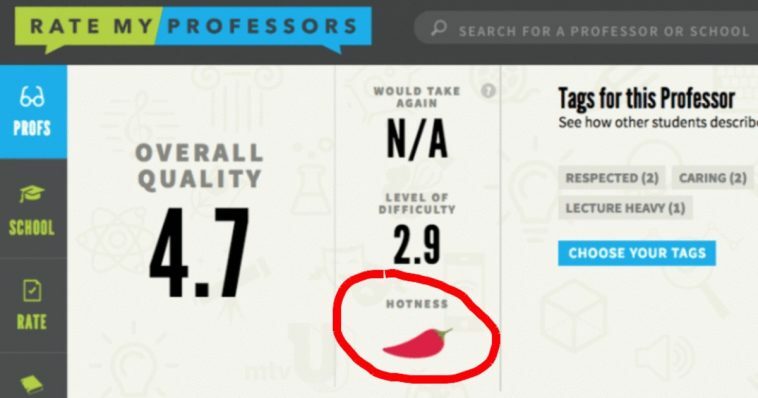 While it seems that the chili pepper is indeed a representation of how attractive professors are, the company claims they have “since removed” the chili pepper rating from the website altogether. Good job, Twitter, that’s how you get things done.